The Chief Executive Officer of the Fijian Competition and Consumer Commission, Joel Abraham who is also the Chairman of the Independent Bus Fare Review Committee says thousands of people have come out and said that they do not want a bus fare increase. His comment comes as the Director of Westbus Fiji Limited, Ajay Kumar says there needs to be an immediate fare increase especially for the bus service providers in the Western Division who are providing services in rural areas. Abraham says just because a company is not doing well, it does not mean that a fare increase is justified as there could be other factors that are contributing to the operations of a company including management and governance. Director of Westbus Fiji Limited, Ajay Kumar says all their routes in Nadi are being serviced however they may not be able to do this eventually if their concerns are not taken into consideration. He says Suva-based bus operators’ situation is different from theirs as bus companies are servicing densely populated areas in the Central Division and have frequent trips and this is something that they do not have. Meanwhile, Dominion Transport Limited Director, Leena Nandan says that they are now waiting for a solution to the issues relating to their income. 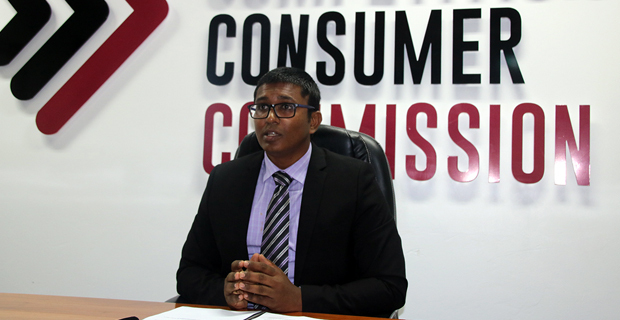 Nandan says they have spoken to the CEO of the Fijian Competition and Consumer Commission and they have been told by the CEO, Joel Abraham that he would be assisting in the situation. Dominion Transport Limited had gone to the Commission as they are disputing the income they get from Vodafone each day. Nandan says that the company expects to get about $4,500 income per day from Monday to Saturday. Dominion Transport provides service to thousands of people living in Navu, Koromakawa, Moala, Nadi Town Area, Tunalia, Nadovi, Korovuto, Yako, Malamala, Nawaicoba, Uciwai and Vunamoli. Dominion Transport Limited had stopped servicing their routes on the 3rd of this month as the bus drivers of the company were not paid their wages. At that time, the Director of the company had claimed that they had not received the anticipated income for the 30th of last month. Nandan said that they received about $2,000 through their e‑ticketing revenue for that day, however they anticipated a lot more than that.